How do we bring excellence and diversity to graduate education at Mizzou? The Center for Inclusive Excellence in the Graduate School has developed a number of diversity initiatives including TigerView, a graduate school preview program. The TigerView campus visitation program brings prospective graduate students with a serious interest in pursuing a graduate degree at Mizzou to our campus for a four-day visitation program. We are pleased to introduce you to one of our 2017 TigerView Alum who chose MU as the place for their graduate school! For more information about TigerView click here. Stepping away from Hollywood and into the world of academia for first year doctoral student Daphne Valerius was more than just a learning curve but a meaningful and life-changing decision. Paving her path to TigerView, was Valerius’s participation in the Ronald McNair Scholar program and the production of her documentary film, The Souls of Black Girls. Here at MU, Valerius has found her home as a media scholar in the Department of Communication and as a graduate research assistant with the Media & Diversity Center and the Graduate School. 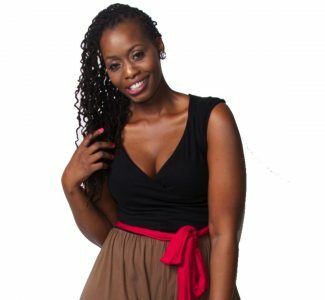 Far from the lights, camera, and action of Hollywood, today Valerius brings her talents to MU to study the representation of women and girls of color in the media as well the influence of these representations on body image, identity, and cultural practices. Valerius and her advisor, Dr. Lissa Behm-Morawitz, were initially paired up through the guidance of TigerView leadership and have formed a tight bond. “To work alongside my Advisor, Dr. Lissa Behm-Morawitz, has been the most significant part of my journey thus far. In her own right she has been a part of making seminal contributions to the research of media representation of African American and Latino populations. To study and work under her guidance and leadership, I am challenged to produce work that meets a certain standard of excellence at every level,” says Valerius. In the Graduate School, Valerius says that she is “able to contribute to the vision of the department as a product of the TigerView initiative while bringing my professional experiences and talents to the table.” “A great part of feeling at home at Mizzou is due to working alongside a team of other inspiring and accomplished women like Dr. Jeni Hart and Dr. Laura Page who have also taken the doctoral journey and remind me that I have been placed in this position for a reason” shares Valerius. Valerius credits her former McNair Director, Ms. Beverly Fields with bringing MU to her attention once she finally made the decision to pursue her doctorate, a decade after making a promise to her late mentor, Dr. Lez Edmond. “After being nominated for the TigerView program, I was given the opportunity to visit the campus and explore what Mizzou had to offer. I left that campus visit completely in awe of the possibility of pursuing my doctoral education here so much so that Mizzou was the only school I applied to by faith. I just knew then that there was something special about the University of Missouri and I was open to the endless possibilities that a Mizzou education could afford me,” Valerius explains. As a doctoral student, Valerius’ work continues to impact young girls and students in the classroom. 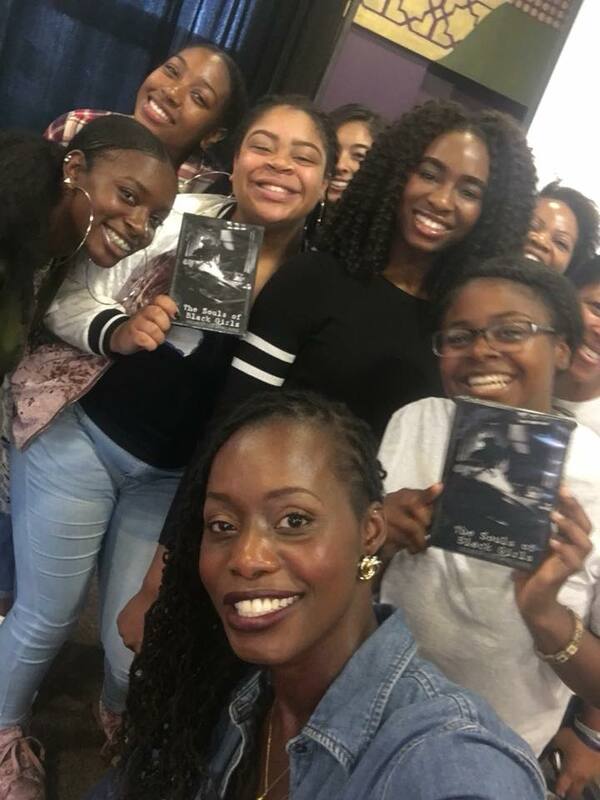 Valerius recently shared her documentary with the young girls of Take Wings Foundation in San Francisco and over spring break with the faculty, staff and students of Southern Illinois University Edwardsville (SIUE) in collaboration with Mizzou alum, Dr. Ashton Speno. “I am always humbled when this work is used to teach media literacy, whether in the classroom or by reaching and serving young girls within our community,” says Valerius. As a media scholar, Valerius hopes to bring attention to the voices and stories of women and girls of color that are systemically omitted from conversations and discourses of media effects beyond her studies at Mizzou. “My hope is to build upon my existing body of work that is focused on the media representation of women and girls of color. It has always been my intention to work on a sequel to my documentary, The Souls of Black Girls and the goal is to do just that based on my dissertation and the research I produce here at Mizzou,” says Valerius. Through TigerView, this talented scholar found her way to Mizzou! We are excited for her bright future ahead.